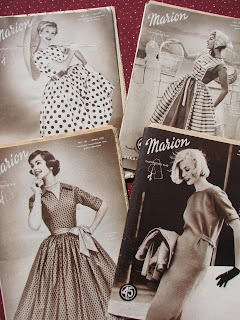 I’m writing this post as part of the Apron Queen’s Vintage Thingies Thursdays. 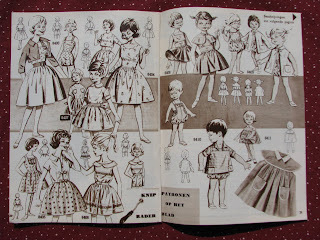 You can check out her blog for links to other posts about vintage thingies. The Apron Queen posted some very cute vintage kitchen towels today. My kitchen towels might be old, but they’re definitely not vintage or in any condition for the world to see. So instead I’m going to share some sewing magazines that I recently found in my mom’s house, which used to be her parents’ house. My grandmother (or oma, because she was Dutch) kept her yarn stash in a funny little seat attached to a built-in bookcase. The back and seat cushions can be lifted off, revealing a storage area underneath. I found these patterns intermingled with some old knitting books under the seat. They’re all in Dutch, so my oma must have brought them back from a trip home to the Netherlands, or maybe one of her sisters sent them over. 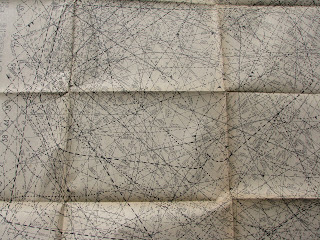 What’s most amazing is that all the patterns in each issue are presented on two sides of a single large piece of paper. 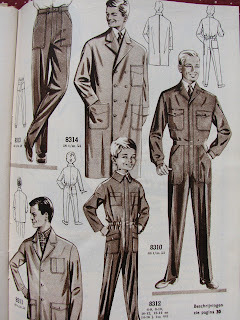 To use them, you had to trace all the pieces for the particular garment you were making. Can you imagine? It looks like a nightmare road map. My great-grandfather was a tailor and my great-grandmother had a shop in which she sold handmade clothing (I think mainly children’s clothes). Eight of her ten children were girls and I know that at least two of them, my grandmother and my great-aunt Bep (who both came to Canada), were master craftswomen. I’m sure that at least some of their sisters (who stayed in the Netherlands) had similar talents. My grandmother, at least in the time I knew her, was mainly a knitter and crocheter, so finding these patterns was a big surprise for me. 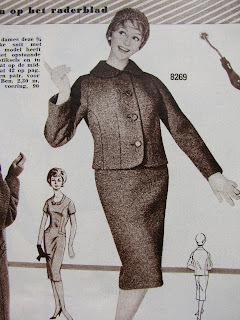 Her sister was a professional dressmaker and could do just about anything involving yarn or fabric. They both had a big influence on me and I plan to write more about them in future posts. Thank you so much for sharing. I'm such a vintage geek. I love this sort of stuff! I am actually in the middle of writing tomorrow's post & it has to do with Pennsylvania Dutch sayings that I have on some of my vintage linens. We have Penn Dutch roots. 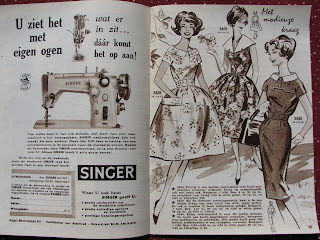 Coincidential that your Grandma's sewing books are in Dutch. I have issues with tracing simple embroidery patterns. There is no wayI could trace these patterns! But I love those dresses. What a great find for you! OMG I think I had a fainting spell looking at that pattern. But those pictures and sketches- how absolutley fabulous are they? I wonder if Hollywood has a demand for something like this. I am so glad you are able to cherish these women-things from your ancestors. That is priceless! I wonder if you need to preserve them- they look like they are in unbelievable shape. Oh, what fabulous books!! 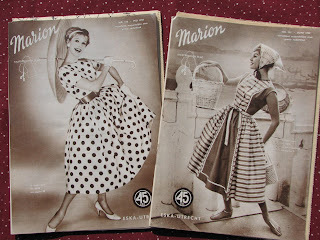 I just love vintage magazines.. the outfits are fantastic and the women are just so perfect! I love the children's outfits, especially. They just might be worth tracing through that jumbled mess.